ALMOST ten years after Kildare County played their last game in the League of Ireland, National League football will return to Kildare after the Kildare and District Underage League were allocated a place in the newly formed Under 13 league, which begins in March. The KDUL, who will compete under the name of Klub Kildare, are one of four district leagues, along with Kerry Schoolboys League, Mayo League and Monaghan/Cavan FP, who will join the 20 SSE Airtricity League clubs to make up the 24 teams competing in the league. The teams will be split into four regionalised leagues of six teams with the top two teams from each league and the two best-placed third-placed teams set to qualify for the finals stage. The exact make-up of the leagues and fixtures will be released on Wednesday 30 January. “I would like to congratulate Kildare & District Underage League, Kerry Schoolboys League, Mayo League and Monaghan/Cavan FP on securing a place in the new SSE Airtricity National Under 13 League,” said FAI Competitions Director Fran Gavin. “The spread of teams across the country is important in making sure all players from across the country have the opportunity to play in our national leagues. “The continued growth of our national underage structures is exciting for the future of Irish football and we’re looking forward to the start of the season in March,” added Gavin. For the KDUL, it is a culmination of almost two decades work that has seen them develop into one of the most noted Academys in the country. In 2018, they reached the Under 14 Kennedy Cup final for the first time under the current format of the competition and just last Sunday, a team made up of a host of those finalists qualified for the Leinster U15 final and set up a repeat final date with the DDSL. KDUL Director of Football Jamie Smith was thrilled with the news. “It’s great news for football in Kildare,” said former underage Irish captain Smith. “Young players now at seven or eight can now aspire to something in their own county, they can say they want to get into the National League in Kildare. Hopefully participation numbers around the county will increase, more people will take football seriously because we have some really, really good players in the county. We’ve had Oisin Hand capped at under 16, Edwin Agbaje has just been called into the under 15 squad. It’s just brilliant news for the Academy, only big things are going to come from it,” he added. The KDUL have had their success at inter league level without being able to call on the services of large swathes of the county who don’t compete in the Kildare league but Smith says the National League team gives Klub Kildare a chance to represent the whole county. “Getting into the National League is only going to open the doors to more players around the county to come into the Academy. We reached the Kennedy Cup final last year even though one of the biggest clubs in the area, Newbridge Town, left the league, we have no teams from Leixlip, Maynooth or Celbridge in the league. Now we have the option to choose players from those areas, as well as the lads already in the academy, so it just opens more doors to us,” said Smith. KDUL Head of Youth Development Pat McNally was one of the driving forces behind bringing National League football to the county and he says the decision by the FAI to include Kildare is recognition of the work by the Academy. “I think the appointment of Mike Geoghegan about six years ago brought us up to a different level. He introduced a lot of good ideas that were taken up by Jamie Smith after Mike left and then Jamie brought in a lot of his own ideas. We have our own strength and conditioning programme, we use GPS units to track stats, we video our own matches, we look back on our own matches and show the players the good things that they have done, and the bad things. We have in excess of 290 lads in our Academy now and have recently taken on Laura Cusack to bring the girls on the same level. We are the only league in the country that I am aware of that have two UEFA ‘A’ licence coaches in their Academy. “We’ll be having open trials to bring more players under the umbrella. 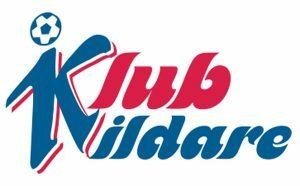 It’s not just the KDUL now, it’s Klub Kildare, so this will open the door to players in north Kildare, players who maybe over the years were told that going to Dublin was the be all and end all and that you had to be playing there if you wanted to do anything. We’ve proved that wrong, no longer is it the situation where you have to go to Dublin and with us now getting National League football, it brings us up to a level where we will be able to compete with teams of that calibre,” said McNally. The first of open trials will be this Saturday and Sunday for any player born in 2006. Anybody intending to participate in the trials must fill out an application form first and they are available on the KDUL website, www.kdul.ie.